It seen that Ronin recently won the election of the most famous Titan (sorry Tone). So I just jump in the badwagon of Ronin was night and have fun that in the end is the most important aspect of playing TF2. I want to ask the more Ronin veterans here to share their loadouts and tips for using Ronin. For sure I will invest more time and want to know the community opinion. I'm in no way a Veteran so I could probably learn some stuff in here myself but I just got my Ronin to Gen 3 and here are some of the things I learned. - When encountering Scorch, keep your distance, sword won't work because his Thermal Shield will MELT you. - I personally run Two Arc waves, after Titan is stunned I run up on him and drop electric smoke and then Phase out of there until I get Arc Wave back and hit again, unload clip go in with sword phase out and reload and repeat. - Don't forget to USE that shotgun, that thing does pretty good damage to Titans. - Don't forget to use Sword Block, when I first started playing I kept forgetting to do this and kept taking a lot of damage from distant Pilots and Titans. Use that block, it deflects quite a bit of damage. - You might want to use the Battery back up boost when playing with Ronin because he does most of his damage up close and personal and doesn't have much health. All I can think of right now, looking forward to seeing some other posts. Thanks for your advice as a Ronin G3 I thinks you are quite good. I will apply the technique of the Two Arc waves, after Titan is stunned I run up on him and drop electric smoke and then Phase out seem very good to apply. Looking forwards for other people posts. I'm not very good with Ronin. (I am good, I'm just way better with every other titan) Ronin is best as first to fall. Get your titan quickly, drop him and absolutely wreck everyone. 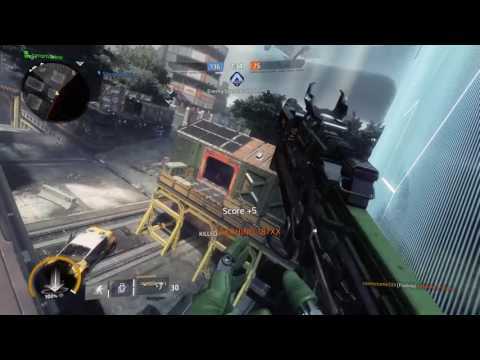 25-0 Flatline/Ronin gameplay. I got revenge on some cancerous players - feelsgoodman. I find success with Ronin is all about correctly linking your abilities together so as to maximize sustained damage while reducing down-time due to ability cool-downs / reloading. Then the priority is to know when and where to hit and when and where to run. Sword core is also rather unique as it modifies your abilities and requires learning a new set of sequences to be effective. From my experience, I used to find that nuclear ejection was the best titan kit for Ronin due the potential for instant titan meter refill (basically phoenix mode). Now after the patch, I'm thinking counter ready or overcore with preference for counter ready. Over-core technically allows for faster smoke earning but the duration of sword core means its a longer time for smoke regen compared to other titans with "shot n' done" core abilities. With Counter ready you get two smokes (or can stockpile two smokes) so this allows for more tactical flexibility: can use it as a escape tool, a mask for your abilities / dodges, a damage over time dot, a means to kill rodeos. Smokes help Ronin more than any other titan IMO. Phase reflex isn't worth talking about IMO due to nuke nerf but it may still be good for LTS mode. Ricochet interestingly gives bounced bullets slight homing capability but greatly reduces there range so this ability gives Ronin ability to hit pilots camped in buildings; but I haven't had much practice. Thunderstorm is really popular but I find it just encourages arc wave spam. Arc wave is best used as a stun rather than damage dealer, and the second charge takes much longer to recharge than the first so it's supposed to be an emergency backup / security blanket for mistakes (which is the perks true power). Stuns don't stack so double arcing is wasteful, and you can deal more DPS by using shotgun + melee + smoke between arcs. Temporal anomaly is probably the best for survival solo play since phase dash can protect during shotgun reloads, and buy time for arc wave cool-down. You can also double dash using phase dash plus normal dash for extra speed, so having a faster phase dash is advantageous and I find people are too conservative with the ability. Highlander is actually really, really good, if you can work the situation correctly, but it has the caveat of delaying smoke regeneration. Highlander can enable team clearing if they are all on low health and huddled together, so it requires high skill to wield and good team working capability. Because it is rather difficult to play well with teams without mics, it isn't a very popular ability. Smoke can obscure phase dash direction and arc wave and sword bloc use. Melee has extended reach and knock back, allowing for easier shot gun crits. Phase dash allows for re-positioning around a target so is highly valuable for avoiding CQC damage. No shotgun means lower DPS and reliance on burst damage. Phase dash and dashes recharge more rapidly so basically can up the tempo of combo patterns. Smoke doesn't hide the 'aura' of sword core Ronin, but is still useful for dot damage. Sword block becomes electrified and may actually reflect bullets back at target but it's hard to observe. I don't know if fully mitigates damage during core mode, maybe mitigation is enhanced. melee attacks until foe turns to face you, use dashes to prevent enemy from facing you. Use phase dash while reloading moving through target to re-position behind them or escape (use smoke before phase dash if possible to mask it). Use arc wave on reappearance (use another smoke before arc if using counter-ready and phased through target for extra damage). Activating core during phase dash end or on shotgun reload start (need to phase dash on core end to reload though) is optimal IMO. Circle dashing around foes helps prevent taking damage, and can use phase dash to dash through a target or sideways to confuse them. Arc wave becomes more powerful and can one-shot doomed titans. Best used as a ranged attack when closing distance and to prevent target escape. Sword block can reflect damage back at target but it depends upon projectile type. Still trying figure out the benefits of sword core block. Can still use smokes during core, so be sure to use em so that on core reset can earn new smokes. Sword core's dash regen plus phase dash can be synchronized to move REALLY fast but need to practice the timing (which I haven't managed yet, start playing with a modified ninja control scheme with claw style grip lately to manage this (i.e. I swapped reload and melee positions). Here you go buddy. there are also some combos in there. Did some testing: sword core block doesn't jedi reflect bullets sadly... but if the projectile is an explosive you can deflect it point blank so the splash damage harms the attacker. I think i doomed a northstar that way. Sword block is one of the most powerful tools in Ronin's arsenal. Even useful against nuclear eject. I've found that Ronin ROCKS vs pilots with the Assault chips, FAR better than any other titan, because of its one-shot-kill nature. It's amazing for objective gameplay when you have to leave your titan to do flag runs, capture hardpoints, cash in bounty, etc. I routinely get 2-4 kills per match this way, which doesn't sound impressive, except that happens to be about the number of pilots that tried sneaking past my Ronin to get at me or the objective. Amazing for flag runs where other pilots try to ignore it. Just don't leave it alone near other titans, it's still useless against other titan players. Yeah I noticed that too. Mention it in another post about what is the best assault chip titan. I actually find ION is also rather deadly with AC since it allows her to use laser-shot and snipe people. I've noticed that Arc wave dampens the turning sensitivity of titans similarly to arc nades but longer. So it' actually really good to side strafe or phase dash through targets then apply Arc wave so the victim can't turn and shoot you. Can't hurt what you're not looking at... Unless you are Scorch! I have, since having gotten Northstar to Gen10 finally, been really wanting to try another titan. Been debating between Tone, Ronin and Legion, and I am by far the worst with Ronin so this is tremendously helpful. Yeah that happened to me against a scorch in LTS on complex. That was infuriating. Why can't I hit you!!! I player Ronin like a Ninja and can do some pretty nasty things in games with him. You sneak up behind a foe, sword them, they turn and you shotgun their face for crits. Then phase and smoke. If they chase arc wave and they stall in the smoke. The most important thing is to know when to escape / flee! I pretty much run a extra countermeasure highlander build in LTS now., if you get a battery and can flank the enemy team while your team holds a front line, you can go crazy with sword core. It's high risk but extremely satisfying high reward. Problem though is if you have a good round, you get 'copycats' who change to their Ronin build. There can only be one [Highlander Ronin]! Ronin's I see that use sword block as a riot shield for their team I find are playing Ronin wrong. They just give the enemy easy core and Ronin doesn't contribute the powerful damage he is capable of. It's useful in specific situations, but it's a sub-optimal strategy. Absorbing core still does a lot of damage. It's best to phase into cover than take damage, since healing through batteries is minimal and rare. For other modes non-highlander kits are fine and fun; highlander only really works in LTS. Run into ANY Titans with four bars or above(except for scorch) and arc wave, than melee until stun goes out. After use all shots of shotgun then trick the enemy Titan into smoke. Phase, reload and use second arc wave to stun. Shoot and melee away. Between the gaps and break, full-time sword block. After going through the process successfully, you should have a core and get close to the weak Titan and get a kill. If encountering another Ronin, then don't go fullout. The other player probably what combo you will use and counter it. Go random. If facing a Northstar, get close and don't use shotgun until stunning and giving her a few slashes. Then run because her railgun is probably charged. Don't mean to be rude but a lot of things you suggested are not good in better play. Nuke eject is simply useless against players that have a clue as to what they're doing except Northstar if you can tether them (which is rare). Turbo engine doesn't help you during core, and since Sword Core is what makes Ronin Ronin, you wanna run Overcore. Temporal Anomaly is indeed the best kit, but it is to reduce the amount of openings in which you can take damage, not to get behind them. Archer only works if said Northstar hasn't taken his Archer dodging lessons. You might want to use the Battery back up boost when playing with Ronin because he does most of his damage up close and personal and doesn't have much health. In my opinion, there are no overall tips I can give that you've not already heard. This is because situational variables should dictate how you act and play as a ronin. In attrition, for example, on certain maps, it's difficult to use ronin effectively at all. LTS and Titan Brawl are the best modes for a ronin, as they're titan focused combat without pilots in the mix, which is truly the domain of the ronin. One being the sword core path, using highlander kit and overcore to just get your electric sword and use it to get 2-4 kills. Maybe even 5-6. This is an incredibly offensive ronin used for aggressive combat and the like. I do not acknowledge nuke ronin; it's not a playstyle at all and should never be attempted. The other is defensive ronin. This is achieved by using the twin thunder or temporal anomaly kit, along with dash boost or overcore again. Use sword block until an opportunity presents itself and hope to execute the enemy, this helps with staying healthy and alive, otherwise you lose health. Use your block, dash only when needed, hit all your arc waves and use allies for cover and bait. If you see a low health friendly, chances are you can use them to weaken the enemy and get a kill or two. Use choke points to force close range fights and for Ronin's sake remember your sword block. Ronin can be rather effective farming minions in attrition with sword melee. Used to be lethal to reapers but not so much now because they can strip too much health now. Overcore/Temporal Anomaly ftw but Highlander is great fun in Titan Brawl.